The following key issues for feedback have been formulated following engagement with the residents and ratepayers of the Orakei Local Board area. We have included a number of links below to guide you with your submission. You must submit by 28 February 2014. Note: the Hearings Panel will expect clear reasons for each position on the PAUP. e.g. St Heliers should have a different/lower height for the following reasons – its coastal location; its existing level of development; its strong community opposition etc. These should relate to ‘environmental effects’. The Ministry for the Environment website also has some useful info on how to write an effective submission and the Environmental Defense Society website includes several example submissions. Below are links to the relevant MfE and EDS webpages. Clearly identify the number and description of each part of the Plan you want to discuss – this will allow officers to group submissions and provide clarity to the Hearings Panel. Include the number and description of parts of the Plan you support, not just the parts you oppose – supporting provisions is just as important as opposing them. If the Hearings Panel only hear about opposition, they will not be able to balance that with support. Where possible, provide solutions and suggestions of what you would like to see, not just the fact that you oppose something – this provides the Hearings Panel with clear options. Explain your position – being clear about the reasons why you support or oppose something will be very helpful to the Hearings Panel. the development requires the demolition of a pre-1944 building or structure in Ellerslie, Remuera or St Heliers. there is a precinct or ‘centre plan’ in place (e.g. 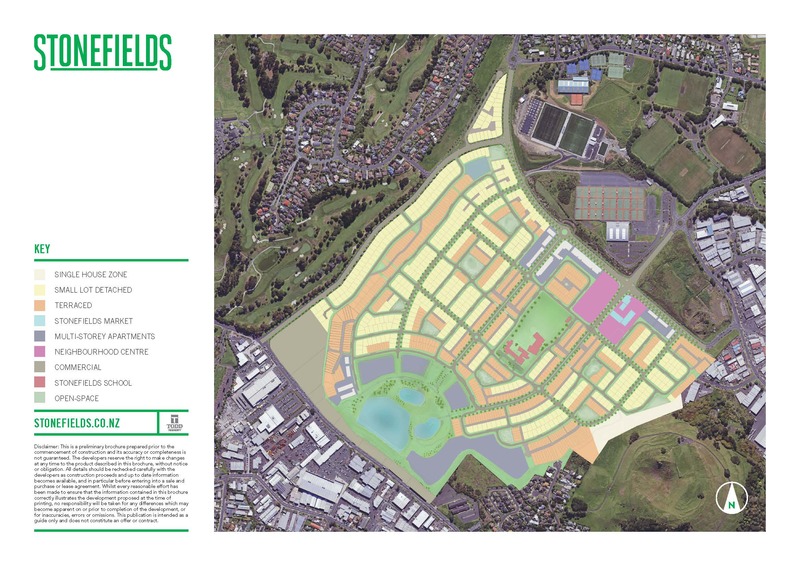 the St Heliers Centre Plan and character statement). Providing specific notification triggers in the Unitary Plan on these issues address failings in the current district plan and will provide the community greater confidence that developments in the new Unitary Plan integrate well with existing established communities. i. breaches of building height, height in relation to boundary, density controls, parking controls and site coverage. We support or oppose the changes made in the Kohimarama area to establish residential height limits of 10m (+1m) maximum. We oppose the height level proposed for the St Heliers centre precinct at 12.5m in the business district and believe this should be established at 9m because this more strongly supports the St Heliers Character Statement contained in the PAUP. We support the height level proposed for the St Heliers centre precinct at 12.5m in the business district. We support or oppose the application of the set back provisions of the St Heliers centre precinct plan on the southern side of Polygon Street from Goldie Street to Tuhimata Street. We support or oppose a height level of 12.5m for Remuera to preserve sunlight, amenity, character, privacy and the streetscape. We support or oppose a height level of 14.5m for Remuera to preserve economic development opportunites and private property rights. 2) the ‘feel’ of the space or streetscape (e.g. amenity; daylight, quality of life aspects). We support a restricted discretionary activity (RDA) resource consent for the construction of 2 or more dwellings in the Mixed Housing Urban (MHU) zone to ensure the development is designed in accordance with best practice urban design. Currently the construction of 4 or more dwellings in the MHU zone triggers the need for a RDA resource consent for design. We believe quality design is critical to the intensification proposed in the Unitary Plan that it should be required in the MHU zone as well. However, the cost of assessing these consents in the MHU zone should not be on-charged to the applicant i.e council should cover the costs so that it is free to applicants, so as to encourage compliance and ensure quality design. We note that while there is general understanding within the community around height issues, there is less understanding of how communities will be impacted by PAUP proposed density increases. For example, where you would have once required a 1000m2 site to establish two dwellings, under the PAUP you would now require only 1200m2 to build four or more dwellings (provided certain size and width requirements are met). We are concerned this lack of understanding may limit submitter’s comments. We request the Hearings Panel to consider this issue as they finalise the final Unitary Plan. We support or oppose this increased density approach. We support or oppose the minimum dwelling size of 40m2. Planners noted that if the community or key stakeholders want to request that new character statements be included in the Unitary Plan, that they be specific, listing the reasons as to why the area, street or site ought to be protected (i.e. attempt to define the character). Heritage assessments, photos and maps can all assist in making the case for protection. Character statements under the previous District Plan have at times been ineffective. We support stronger character statements that are enforceable in the PAUP. ii. an incentive to build additions onto existing buildings with the view to dividing them into two parts, leading to a form of ‘densification by stealth’ in the SH, MHU and MHS zones. i. the ability to provide self-contained accommodation for additional family members in an existing dwelling. We support or oppose the creation of a new zone for single housing which does not allow for conversion into two units. We support or oppose the proposed 10m (+1m) height limit along Tamaki Drive, (excluding the business areas and the proposed THAB and mixed housing urban sites that back onto the cliffs as long as the height of the building, including any roof-top protrustions do not exceed the height of the cliff line) which ensures the protection of Tamaki Drive’s unique amenity as an area of regional significance whose environs will play an ever greater role as Auckland becomes a more compact city. We request that any development which exceeds the 10m (+1m) height limit along Tamaki Drive, trigger a full discretionary activity assessment and a case-by-case notification assessment. We note that the creation of ‘buffer zones’ to address interface issues is a key principle in the draft Unitary Plan and was part of the rationale for splitting the mixed-housing zone into MHU and MHS. We therefore request that, where the THAB zone directly abuts the Single House zone (such as along the Remuera ridge line, adjacent to the southern slopes, in Mission Bay and Ellerslie), that either a Mixed Housing Urban or Mixed Housing Suburban ‘buffer zone’ be put in place; or, the THAB zone be reduced to Mixed Housing Urban, in order to protect the quality of life and amenity characteristics of adjacent properties (e.g. access to sunlight and other quality of life elements such as privacy and noise). We support or oppose schools being zoned as ‘special purpose zones’. We are concerned that the PAUP does not provide the community with sufficient confidence that future density increases will be matched with appropriate infrastructure and service investment to address issues such as: road congestion; access to public transport; parking shortfalls; waste management issues, education, community facilities; and, pressure on the stormwater system and ecological areas. Both Auckland Transport and Watercare submitted a range of concerns during the draft Unitary Plan phase. This included a request to see stronger mechanisms within the Plan to ensure that infrastructure services can be provided before development is approved. Watercare’s networks do not presently have enough capacity to cater for the proposed full development potential in all areas of these zones, and will need to be upgraded to meet demand. Upgrades will need to be prioritised and targeted in areas where there will be uptake of services. In some situations subdivision and development will need to be put on hold until upgrades to the network have been completed. These issues need to be better addressed in the final Unitary Plan. We request the Hearings Panel investigate controls which provide a greater confidence that infrastructure planning is in place, prior to development proceeding. Watercare and Auckland Transport undertake asset management planning and these agencies will review their works programmes to respond to the Unitary Plan. For information on Auckland Council funded projects and programmes, including stormwater and flood protection, water supply and sewerage and transport. In many areas of Auckland, detailed Area Plans have not yet been prepared. This is the case in the Orakei Local Board Area. Area Plans may well reveal a level of detail about an areas development that the Proposed Unitary Plan has not revealed. Therefore we request that Area Plans become determinative of the development within an area and that the Area Planning process provides the ability to adopt a Unitary Plan change, if that is justified. Planners noted that under the new RMA changes, Council is not able to establish general tree protection (on private land) for amenity purposes, unless the tree or trees are scheduled in the plan. Trees are currently able to be protected in the coastal area 20 metres from the mean high-water spring and along cliff lines. However, it may be possible to use overlays to protect trees (on private land), or stands of trees in some coastal areas, where the overlay is driven by regional rules aimed at preventing natural hazards and coastal erosion, or protecting ecologically significant areas. We note that the area encompassing Tamaki Drive forms part of the Hauraki Gulf Marine Park and requires special consideration under the Hauraki Gulf Marine Park Act 2000 and that sections policies 13 and 15 of the New Zealand Coastal Policy Statement address the need to preserve natural character and landscape issues such as tree-lines and coastal margins. We request that the Auckland City Council Isthmus District Plan general tree protection along Tamaki Drive be retained to form a ‘coastal tree protection overlay – or ‘coastal environment line’. We note that there is insufficient knowledge in the community of SEAs and whether property has been encroached upon, and what this means in practice. We encourage residents to go online to see if your property is affected by a SEA overlay and to consider the above fact sheet on SEAs to inform your submission. We support or oppose the use of maximum car parking standards and request that the minimum car parking standards of the former Auckland City Council Isthmus plan be reinstated until frequent and reliable public transport services are well established. We note the example of the Stonefields subdivision which was supposed to be a transit oriented development, but due to insufficient investment in public transport and other behavioural factors, has serious car park shortage issues (such as inappropriate use of berms for parking) which lowers the overall amenity of the area. We request that appropriate transport infrastructure (e.g. parking) and public transport services be considered as a discretionary criterion when assessing subdivision consent. Environment (and mangroves)We support or oppose the provision to allow mangroves to be removed back to 1996 distribution levels. We request however that provision also be made to remove mangroves beyond the 1996 level, on a case-by-case basis, where mangrove spread can be clearly shown (by photographic evidence) to have spread beyond its natural reach, to allow water bodies to return to a more natural distribution of mangroves. We support or oppose the reduction of moorings in the Waitemata Harbour. We request that the zoning for the land on the west side of Morrin Road from Merton Road to College Road be recreational and the land on the east side be special purpose.